The tamarind pod is of an earthy brown colour and has a very raw tangy flavour. This can be used to prepare tamarind juice which has numerous health benefits. This is used widely as a spice in the local cuisines of Latin America, Asia, and the Caribbean islands. Tamarind juice can also be used as a flavoring agent. This contains Vitamin B, carotenes, Vitamin C, potassium and magnesium. Tamarind juice is a mild laxative. This is used to treat bile disorders and helps the body to fight against viral infections such as cold and fever. The tamarind pulp juice can be used to cure conjunctivitis. Eye drops are prepared by the traditional method using tamarind seeds to cure dry eye syndrome. The tamarind flower’s juice is extracted and this is to be drunk to cure bleeding piles. Tamarind juice is widely used in many states of India for making curries, salad dressing, etc. Add juice to vegetables for a refreshing finish. You can also make a fresh drink by mixing sugar and tamarind juice with 2 cups of cold water and lemon wedges. Make a tangy drink by adding this to fresh orange juice with sugar. Prepare a salad dressing out of tamarind, lemon juice, sugar and olive oil. Tamarind juice boosts the metabolism that in turn is an excellent way to reduce weight loss. Use of tamarind juice treats inflammatory bowel diseases such as ulcerative colitis and Crohn’s disease. Tamarind pulp juice helps to keep stomach ulcers and stomach acids at bay. Mix this with honey, milk, lemon and dates to help indigestion. They are rich sources of fiber that regulates bowel movements and cures constipation, intestinal worms and parasites in children. This is a great natural way to cure diarrhea and dysentery, and lower inflammation caused due to hemorrhoids. Tamarind pulp juice contains carb-blocking properties that help your body to absorb carbohydrates. This lowers the blood glucose levels of diabetic patients after meals. 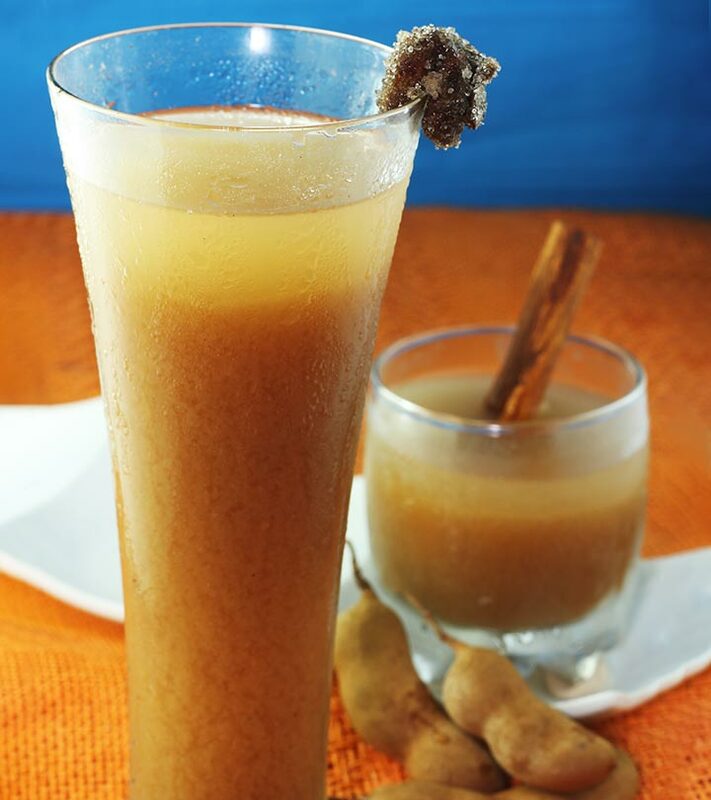 Tamarind juice is a traditional method to cure diabetes and lower blood-sugar levels. Tamarind juice prevents oxidative damage in the pancreas which is linked with diabetes. Diabetic patients can also develop coronary heart disease. Drinking tamarind juice regularly reduces risks of this and other related diseases. This juice contains many antioxidants that are beneficial for good health. This also improves the immune system and other problems related to it like cold, cough, flu, etc. Tamarind juice is a very rich source of antioxidants that protects your body from hazardous free radicals. This juice has the power to prevent the oxidation process of cholesterol, which can stop cholesterol sticking to the walls of your arteries and blocking them. This will lower the risk of coronary heart disease and high cholesterol levels. Many people with obesity need to lose weight to maintain their body weight. Tamarind juice can be very beneficial in such cases for weight loss and for treating obesity. This is very high in antioxidants that are useful to lower the risk of cancer and improve the body’s immune system. This imparts a cooling effect to your body temperature. Hence, the drink is to be consumed to cure sun strokes in the tropical regions. 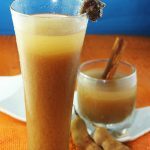 Tamarind juice is anti-inflammatory that can be useful to cure a sore throat. Gargle with tamarind juice to reduce the pain and soothe a sore throat. It can also be applied on to the joints to soothe inflammation and pain. 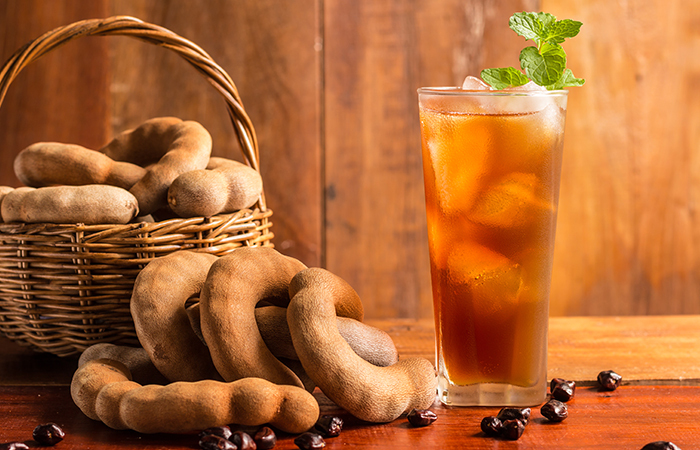 Tamarind juice is excellent for the health of your skin and to treat burns and prevent edema. Apply the juice to maintain glowing and healthy skin. This can also reduce or remove common acne or chickenpox scars from the face and other parts of the body. Tamarind juice has enzymes, fiber, Vitamin B, Vitamin C and alpha hydroxyl acids that remove dead skin cells. Tamarind juice is also used in cosmetics such as tamarind face mask and face scrub. This contains acids, minerals, dietary fiber and Vitamin C which is a good blood purifier. Take 3/4 cup of fresh tamarind pulp juice. Mix with 2 tablespoons of lemon juice, some baking soda and 2 tablespoon of brown sugar. Blend well until this turns into a smooth paste. Exfoliate with a loofah while taking shower for glowing skin. Hope you found the article on tamarind juice benefits informative. Do leave us a comment below.